Holidays to the Bahamas are filled with fun, sun-worshipping and water sports, as this coral-based island in the Caribbean provides the ideal backdrop for rest and relaxation. Flying to this exotic destination with our cheap business class flights has never been easier. Here at Just Fly Business, everything from hotels to airport transfers are tailor-made and personalised to give you the memorable experience you deserve. Our experienced travel consultants are here to fulfill your best interests and they never disappoint. An historical site of great interest, Fort Charlotte resides in Nassau and dates back to its original construction in 1787. Beneath its well-preserved steeples and courtyards run a series of underground passages and dimly-lit dungeons, each of which offers some fascinating narratives and a glimpse into the Bahamas’ rich heritage. 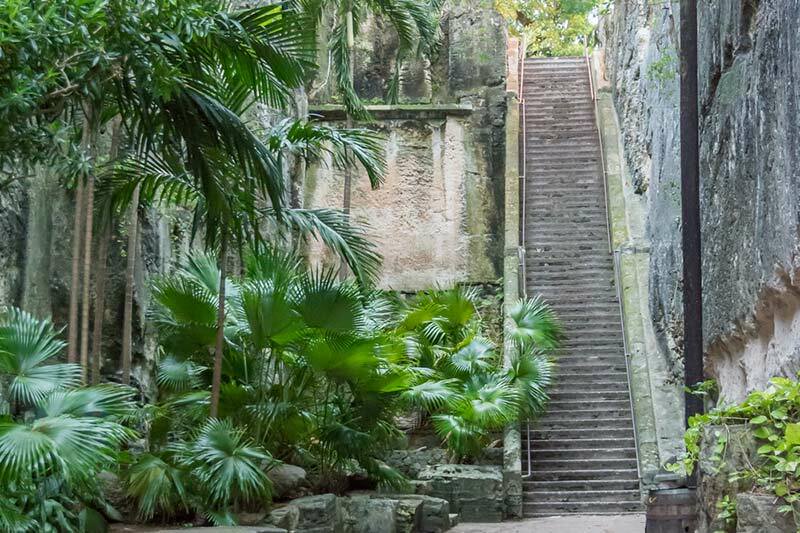 Also located in Nassau (on New Providence Island, to be precise), sits the historic and intriguingly named Queen’s Staircase. This limestone structure was built to honour Queen Victoria’s role in the abolition of slavery in the Bahamas, and retains huge cultural and architectural relevance to this day. While most luxury Bahamas’ holidays are focused in central areas, there are other resorts that allow you to escape the hustle and bustle of popular tourist hotspots. Take Dunmore Town, for example, which can be found on Harbour Island and provides an idyllic, seafront getaway for anyone who demands peace, tranquillity and relaxation. On New Providence Island there is an array of museums, each of which offers an insight into the vast and diverse history of the Bahamas. Perhaps the most interesting of these is the Pirates of Nassau Museum, which includes wax exhibits and rare artefacts that chart the history of piracy in the region. Castaway Cay is a Disney-owned island near Sandy Point, and one which can be accessed by cruise ship. A day trip here makes for a stunning excursion, including water sports and scuba diving and access to some of Disney’s most iconic characters. You can also bask in the golden rays of the sun if you wish, or take in the stunning views and surrounding, mountainous terrain. On a similar note, flights to the Bahamas would definitely be worth your while without exploring the regions’ waterways and marine life. Booking on the Nassau Snorkel Bahamas Adventure can help you to achieve this aim, as it plunges you deep into the island’s waters while exposing you to schools of tropical fish, sharks and a host of other fascinating marine entities. 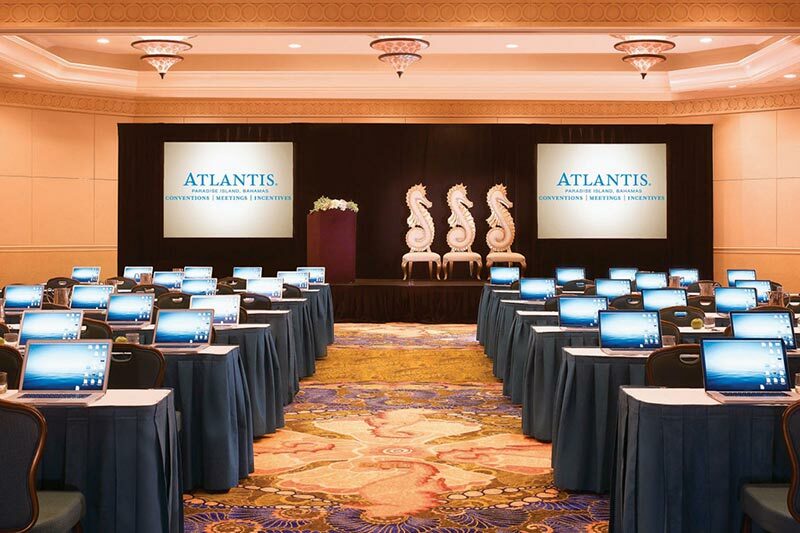 If you are not travelling as part of a Bahamas all-inclusive holiday and instead enjoying a business trip, the Atlantis resort on Paradise Island represents an excellent accommodation outlet. With up to 60 meeting rooms (the largest of which is a staggering 50,000 square feet), the venue is ideal for large conferences or international seminars and maintains outstanding transport links. Located on 40 splendidly-landscaped acres in Marsh Harbour, this venue is popular among recreational and business travellers alike. It also offers a superb array of business facilities, including two large meeting rooms and a total of 9,000 square-feet in conference space. A resort that stretches out along the 1,000 Cable Beach, Melia Nassau is the ideal location for combining business and pleasure in the Bahamas. Renowned for its incredible service and outstanding amenities, business travellers can enjoy a total of 13 vast meeting rooms and a main conference area that is in excess of 12,000 square-feet. 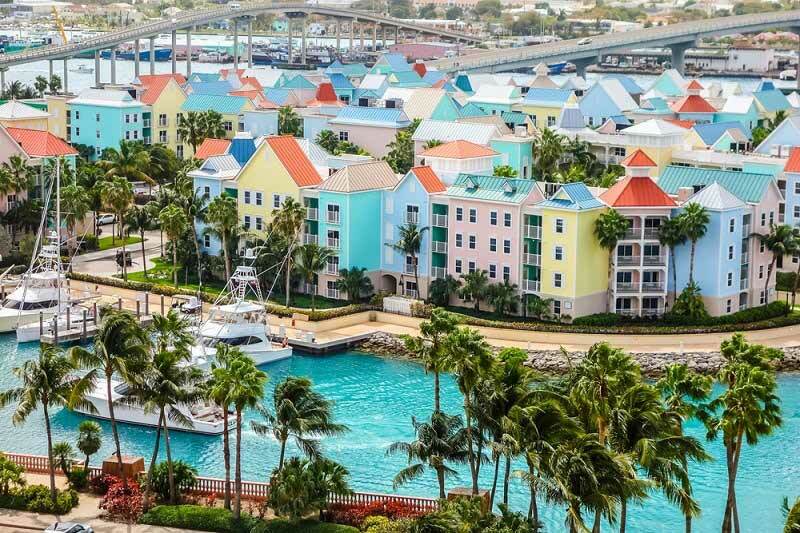 Nassau is clearly the main commercial hub in the Bahamas, as it is well-populated with a host of hotels, conference centres and transportation links. Freeport is Grand Bahama and Matthew Town in Great Inagua are also increasingly popular hubs within the region, while the north of the Island also has close proximity to Florida and similar states on the South-east Coast.